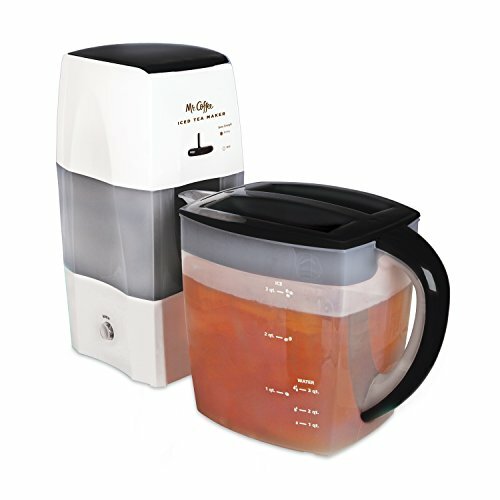 Easily brew fresh iced tea in the comfort of home with the Mr. Coffee 3-Quart Fresh Tea Iced Tea Maker. One simple touch is all it takes to get brewing. Add water, ice, and tea bags or tea leaves, start the brew cycle and enjoy refreshing iced tea in about 10 minutes. The iced tea machine lets you create coffeehouse-inspired drinks easily by adding your own unique flavors, plus several recipes are included to help inspire delicious flavor mixes. The ice tea brewer has a brew strength level to match your preferred taste and the large 3-quart capacity is perfect for entertaining.